St Paul's Primary School, Gateshead, was established in 1964, founded by the Sisters of St Joseph. 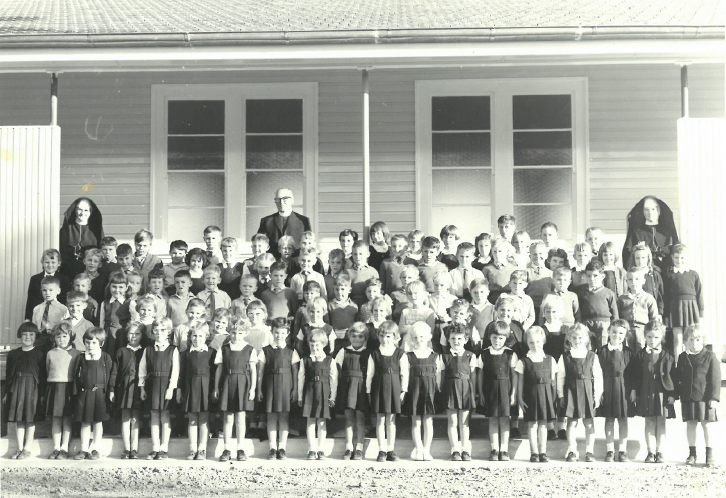 The first principal was Sister Kilian and the school had an enrolment of 75 students in two classes. By 1971 enrolments had grown to 355 students in 12 class groups. 1985 saw the appointment of the first lay principal, Mrs Mary Young. In 2002 a new school was completely built at the back of the same site under the principal leadership of Mrs Wanda Fogg. The new school was built with the latest design creating an intimate village feel with all classrooms opening to a courtyard and covered learning space. In 2011 a computer lab and expanded creative arts space were added. A year later the Roger Kennedy Centre was built on the bottom field. This large hall has full size basketball and volleyball courts as well as a full stage with professional sound and lighting equipment. The Roger Kennedy Centre is shared by our neighbouring Catholic high school, St Mary's Catholic College, Gateshead, which is situated on the southern side of the fields. Today St Paul's Primary has 280 children in 11 class groups.